Effol® Rider's Shower Gel is a mild, pH-skin neutral shower gel with an exclusive fragrance. The 5.5 pH value corresponds to the natural, slightly acidic pH value of the skin and protects us against drying out and damaging environmental influences. 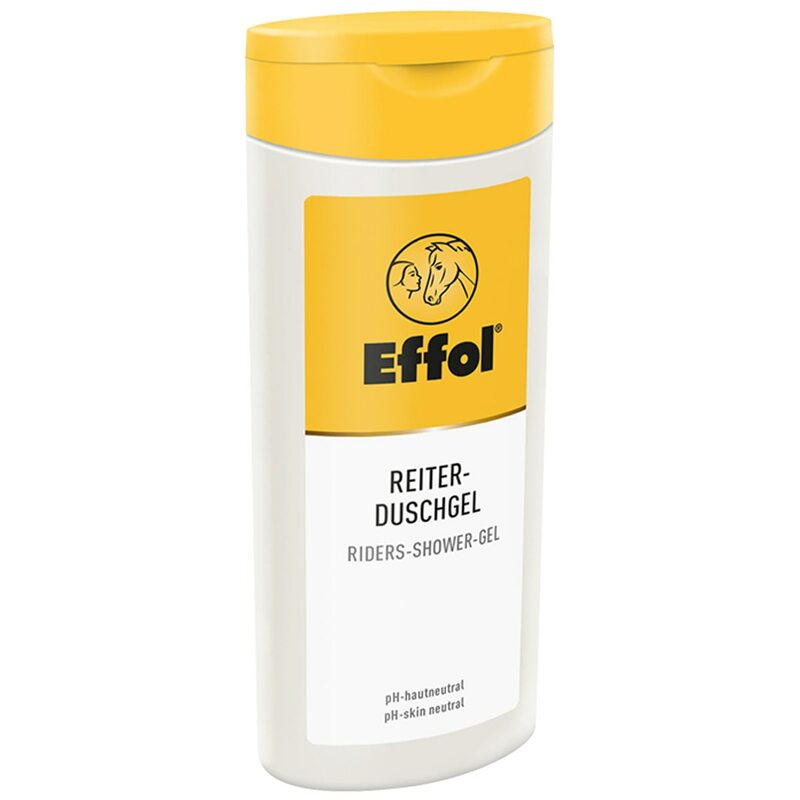 Effol® Rider's Shower Gel thus strengthens the skin's natural function as a protective barrier - even in the case of frequent showering after riding and grooming. Designed for men and women. pH neutral and gentle on the skin. Formulated to protect those who spend a lot of time working and playing out doors. Designed for the specific needs of riders. Rider care from a brand we know and love!